Facebook Introduces New Features for Purchasing and Planning Mobile Video Ads: Facebook introduced “new features to make it easy for advertisers to plan and purchase ads on Facebook in ways that align to how they have traditionally bought television ads.” These new features are also available for Instagram video ads. Snapchat Rolls Out Face-Swapping With Your Camera Roll: “After the success of its Face-Swap feature that exchanges your face with someone else in your photo or video, [Snapchat is] now letting you Face-Swap with photos from your camera roll.” This feature is currently only available for iOS. 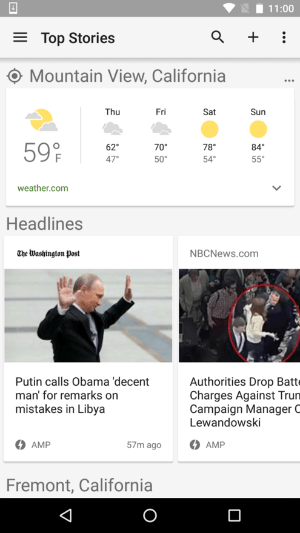 Google News Gives Preference to AMP-Powered Sites: Google News on all mobile platforms will now feature “a new AMP (Accelerated Mobile Pages) carousel filled with important headlines and stories of the day” at the top of the page. In this blab from Friday, April 22, 2016, Michael Stelzner and guests discuss the top news in social media. 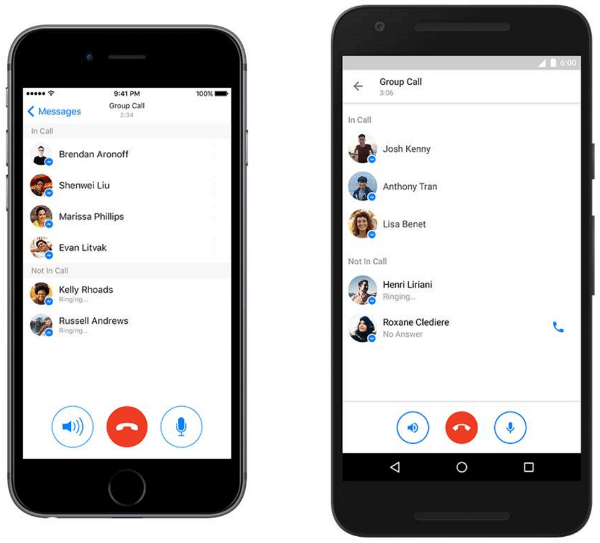 Topics include the new Facebook Live API and the future of live video (1:30) and major updates to Facebook Messenger including group calling, bots, and Dropbox integration (30:31). Subscribe to future shows here. 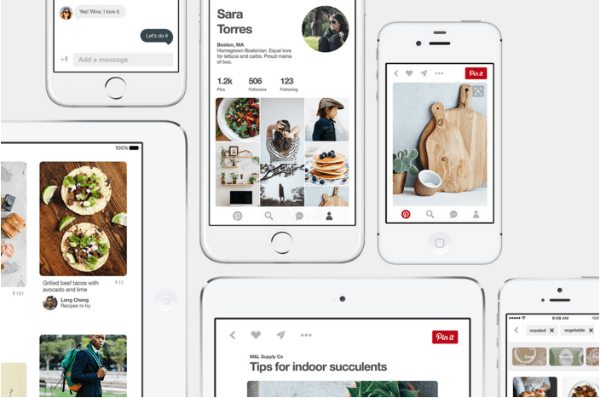 Pinterest Updates iOS App: The updated Pinterest app for iOS features “a new modern look that lets you focus more on Pins” and “crazy fast loading, for everyone in the world.” Similar updates to the Android and web versions of Pinterest are coming soon. Snapchat Rolls Out 3D Stickers in iOS: Snapchat rolled out “the ability to ‘pin’ emojis to objects in your videos and have those emojis track that object and move around with them” in iOS. Marketing Budgets 2016: A new report from Econsultancy and Oracle Marketing Cloud compares spending trends and unmeasurable ROI across different traditional and digital channels. Based on a survey of almost 500 company and agency marketers, this study reveals key trends in budget planning, customer experience and allocations for earned, paid, and owned media. The study also shows solid grow for digital marketing in 2016 with 72% of those surveyed planning to increase their digital marketing budgets and 54% planning to recruit more people for their digital teams this year. 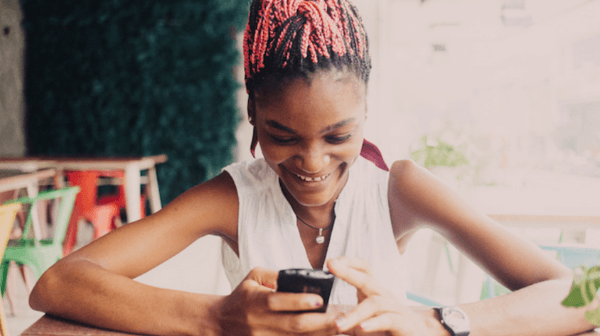 Facebook Q1 Data – Local Business Marketing Trends: According to a new report from Alignable, small- and medium-sized businesses are most successful on Facebook when it comes to generating new business and local awareness. Of those surveyed, 50% of local businesses rely solely on organic reach through Facebook and 61% of those who pay for Facebook ads spend $50 or less per month. The results suggest that more local marketing education and dedicated programs will likely increase ad usage and spending on Facebook. The Content Marketing 50: SMB Edition: LinkedIn identified the 50 most effective small- and medium-sized businesses on the LinkedIn platform to engage, educate, and inspire their target audiences. These rankings were determined by using LinkedIn’s Content Marketing Score, which is the ratio between the total target audience and the unique users who engaged with the content, and by evaluating all content-based activities on the LinkedIn platform. 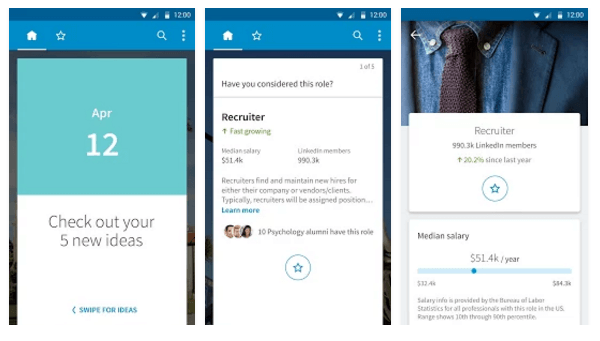 This includes company page updates, influencer and employee posts and sharing, and sponsored updates on LinkedIn. The Global Content Impact Index: The latest study from Acrolinx used survey data from over 800 professionals worldwide to demonstrate the connection between good content and business results. This report examines how content quality can positively impact brand trust, conversions, lead generation, and sales. 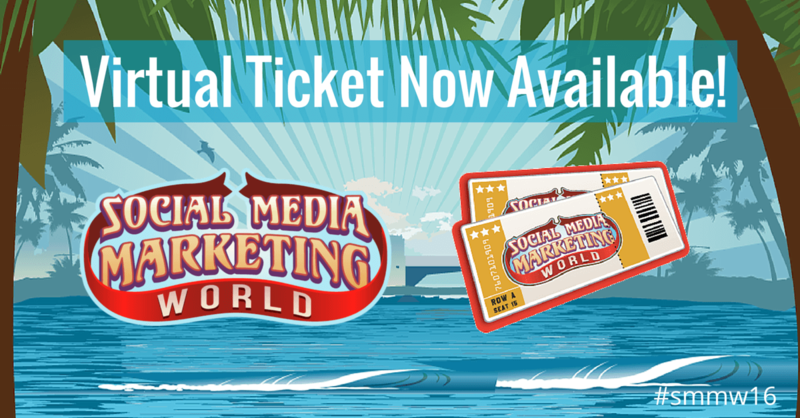 Couldn’t travel to Social Media Marketing World 2016? No worries! A Virtual Ticket brings the world’s largest social media conference to you for a fraction of the price. 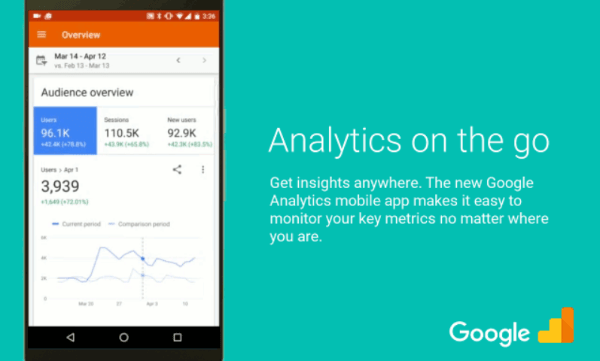 Every keynote, each great session, the workshops and all the panels – the ones people travel thousands of miles to see – will be at your fingertips. 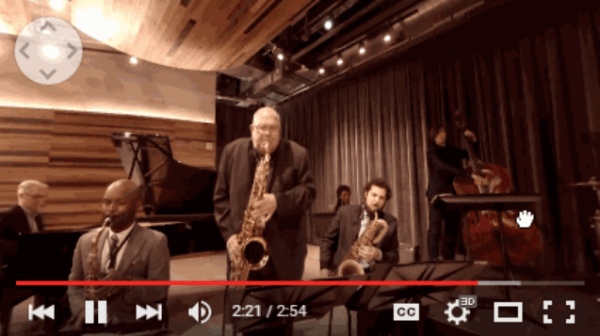 What do you think of Facebook’s new purchasing and planning features for mobile video ads? 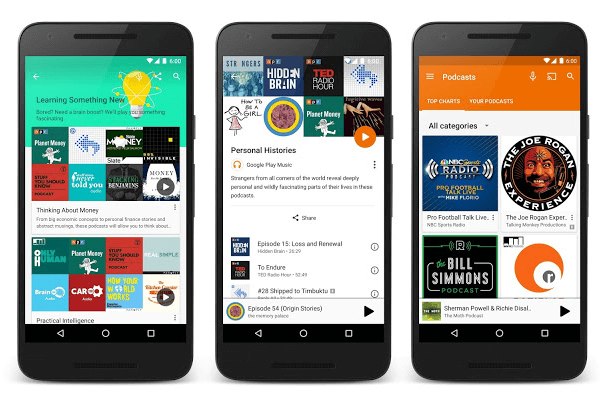 Have you discovered any new podcasts through Google Music? Please share your comments below. 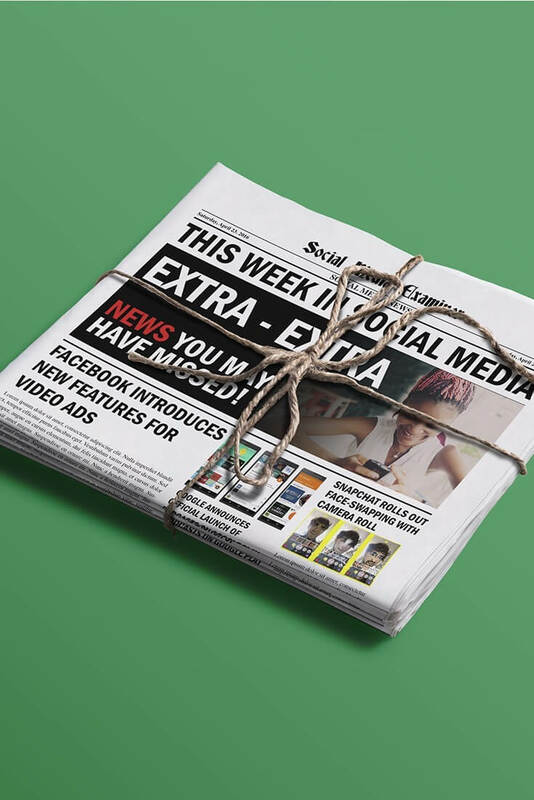 Facebook Simplifies Mobile Video Ad Buying and other social media news for April 23, 2016.